When I first started photography, I had a pretty straightforward method for carrying cameras with me: I threw the strap over my shoulder and carried them. If I needed two, I threw one strap over each shoulder. If I needed to carry, say, a 300 f/2.8 around with me, I put it on a monopod and threw that over a shoulder, or just threw the lens strap over my shoulder and carried everything that way. When I first started photography, I was also fifteen years old. That was a little over a decade ago, and nowadays my shoulders–and my back–are a little less rugged than they used to be. So for the past couple years, I’ve put some effort (and more money than I’d like to admit) into working out the best way to carry cameras around with me. In particular, in the last couple of months I’ve been working on coming up with the best way to carry a pair of cameras, a long lens, and some supplies with me on long-ish treks–so far up to about eight miles at a time. This is what I’ve come up with. For about five years now, I’ve been using a set of old Nikon speedlights SB-25s and SB-26s modded to give me remote power control with my RadioPopper JrX triggers. It was a lovely little system for me, and I got accustomed to being able to adjust my power levels at will from a distance. Unfortunately, after five years of use things are starting to fall apart. The 3.5mm jack I hacked into one of my flashes came loose, and in a single day the plate on the bottom of my JrX transmitter fell off and I lost the foot of one of my flashes to a falling lightstand. I finally had to admit that it was time to stop super-gluing things back together and update my flash system. First I went looking for a replacement to my fallen JrX transmitter, only to find that RadioPopper has discontinued the JrX line of radio triggers. I ended up getting my hands on three separate sets of triggers for some amount of time, so I’ll give a brief review of each in the hopes that it might save others some time and frustration of their own. If you just want to see the solution that ended up working for me, skip ahead to the last section. I’ve been using Radiopopper JrX Triggers for a while now, and one of their more useful features is remote power control. 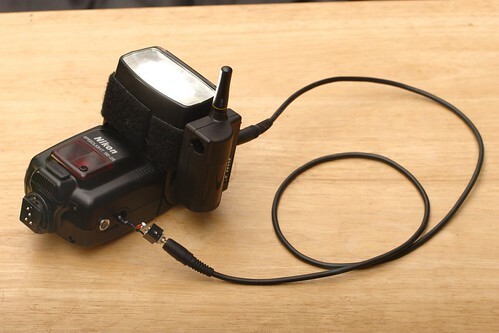 They can remotely control the power level of up to three groups of flashes, provided the flashes support the older style of TTL: this works with Nikon flashes up through the SB-800, Canons up through the 580EX, and probably others I’m not aware of. The catch is that to make it work, you have to attach your flash to their $30 RPCube. 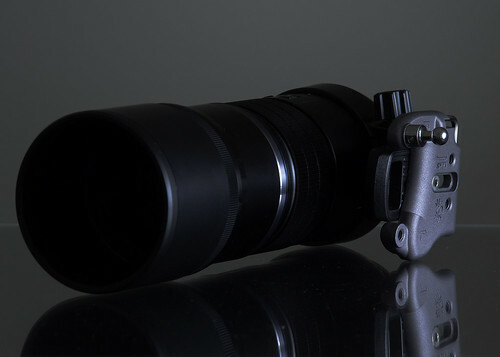 With Nikon flashes, you can make it work by building custom cables with 3.5mm on one end and Nikon’s TTL connector on the other, but those are expensive to build and easy to lose. My solution is to build a 3.5mm jack right into the flash sop you can connect it directly to the Radiopopper with cheap cables. 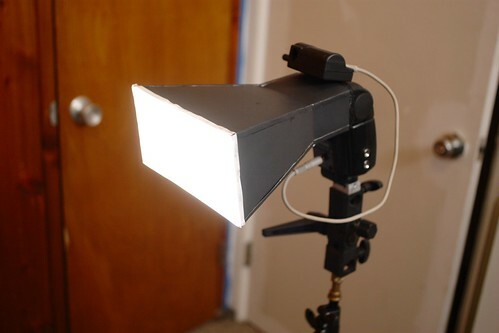 I’ve done this with both SB-25 and SB-26 speedlights before. In this post I’ll be showing the modification of an SB-25, but the technique is not difficult to apply to an SB-26. The mod is relatively simple, but you’ll need basic soldering skills. In addition, my method removes the auto flash sensor to fit in the 3.5mm jack, so you won’t be able to use the auto mode afterwards. Of course, messing around inside a speedlight can be dangerous, so I’ll start out with the obligatory disclaimer. WARNING: The inside of your flash contains a very large, very dangerous capacitor. Take caution opening and modifying the flash. You are solely responsible for any damage you cause to your flash or yourself. 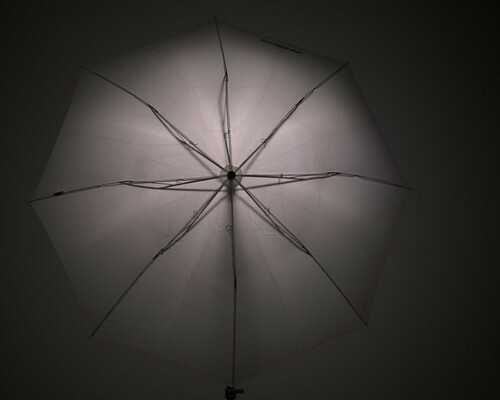 For a shoot I’ll be doing soon, I need a big-ish light source a little more directional than my usual umbrella, so I decided to throw together a little posterboard softbox. I thought I’d have it together in a snap and move on to shooting my subject tonight, but it turned out to be a much, much more time-consuming endeavor than I’d intended. In the process I came up with some templates for the pieces and thought I’d share them, along with a little review and some instructions.